I would like to first express my gratitude to the council chair for being willing to address the serious issue of the safety and noise impacts of the F-35 basing in our city. Secondly, I would like the council to know that I support South Burlington joining the NEPA lawsuit as a plaintiff. Thirdly, I would like to address some of the concerns expressed by councilors, starting with informing/reminding the council of past city actions regarding seeking information from the Air Force on the impacts of the F-35 basing, particularly in light of Councilor Chittenden’s comment “Lawsuits are a last resort, not a first resort.” In light of the actions taken by municipalities and residents over the past four years, any reasonable person would come to the conclusion that every other method to acquire information on the negative impacts of this basing decision had been taken; and that filing a lawsuit was the last resort. Specifically, on at least five occasions, local municipalities wrote to the Air Force requesting information, primarily related to noise, but also regarding other impacts of the basing. These formal letters came from the SB City Council, the SB School Board, and the SB Planning Commission. The City Council of Winooski twice requested this information from the Air Force. The Air Force did not respond to any of these requests. 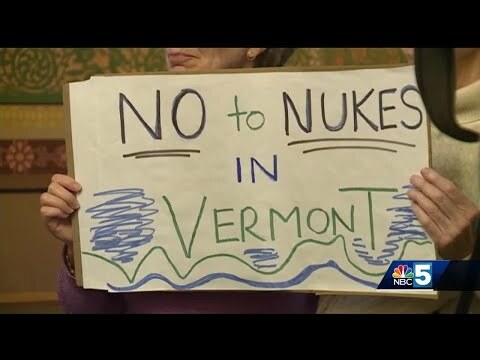 Additionally, over the past four years, on numerous occasions, South Burlington and area residents from South Burlington, Burlington, Winooski, Williston, and Colchester requested assistance and intervention from our Congressional delegates, Senators Leahy and Sanders, and Representative Welch. Our elected representatives chose not to discuss the matter with any of those who were concerned with the negative consequences of the basing. I think it would be foolhardy to expect that, at this point in time, the Air Force, or our Congressional delegates would be forthcoming with information or assistance. Regarding Councilor Chittenden’s comment that “The Vermont Air National Guard will be constricted in their permitted interactions with us on the important matters of first responder readiness & noise mitigation if we are in a lawsuit suing them on these two issues” the lawsuit is against theSecretary of the Air Force, not the Vermont Air National Guard. The lawsuit is about requiring the Air Force to comply with National Environmental Policy Act (NEPA) rules. This information can only come from the United States Air Force. This same answer applies to Councilor Nowak’s comments about getting information from the Guard. The VTANG is not obligated by law, as is the Air Force, to provide this information; and in all likelihood, does not even possess the information we need. However, Councilor Nowak’s comments about our first responders’ fine reputation in past incidents is pertinent to this discussion; as they are among those the lawsuit seeks to protect. We want to insure that they are able to continue their invaluable work by making sure they have the proper information, technology, equipment, protective garments, and training to combat a totally different type of danger than they have experienced in the past. The material composition of the new F-35 is vastly different from the current F-16. The F-16 is made up of a tiny fraction of composite materials as compared with the F-35, which the Air Force categorizes as a “high-risk aircraft” because of the amount and percentage of composite materials in its airframe. Moreover, the F-16 has no chemical stealth coating. The entire F-35 is coated with these additional toxic chemicals. Our lawsuit is to get the information on these dangers, so that our first responders are properly equipped and trained to protect nearby civilians, the military members involved, and to protect themselves. Councilor Nowak is suggesting that the city and its taxpayers ought to be the ones to expend personnel time and money researching the magnitude of the dangers and how to address them, and then paying for the needed training and equipment. She also favors spending taxpayer money to identify noise mitigation actions, and seems to trust that the FAA will allocate all the money needed for noise mitigation work. The Air Force is the one who will be causing these dangers and burdens. It is the Air Force’s responsibility, not the residents of South Burlington, to provide noise information and remedies. Regarding putting a lawsuit decision to a city-wide vote, in my experience on the council that has never happened. SB has never asked the voters to decide whether the city initiates, or joins, or defends itself through lawsuits. Legal matters are one category that Vermont allows councilors to discuss in executive session. Lastly, I appreciate councilors’ concerns as to the timing of this matter. But, new information only just became available to the council. To ignore that would be a dereliction of their duties as our elected representatives. Good governance requires acting on information in a timely manner. In this case, waiting to gather more information or input, means the council would miss their last opportunity to act in a meaningful manner. As we used to say in the military, ‘complete information coming too late is useless’. Unfortunately, councilors do not have the luxury of only working on easy issues. Governing sometimes means taking on controversial topics. Once again, thank you for taking on this controversial, but essential issue. The future of our city and citizens depends on your actions on Monday.